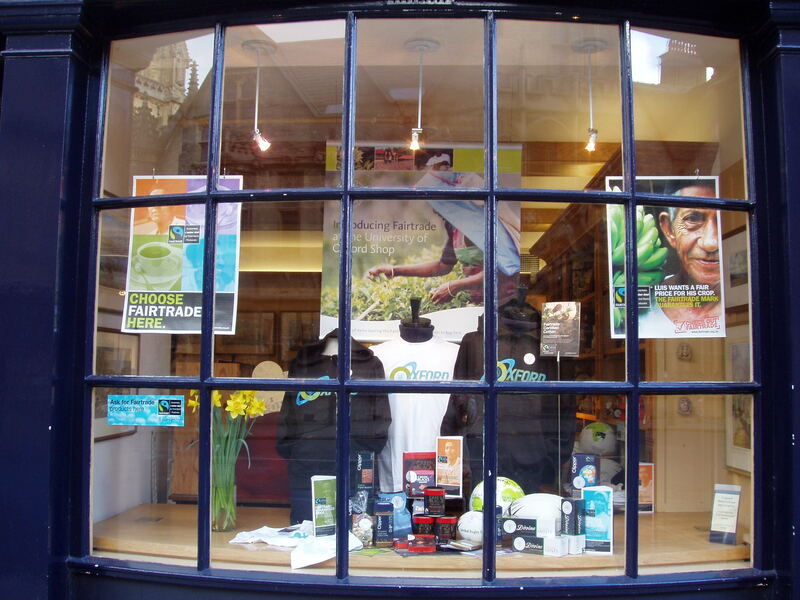 The Oxford University Students Union (OUSU) ethics committee worked with Oxford Limited, the trading arm of Oxford University, to explore options for using Fairtrade products in the University Shop and internal sales. In February 2006 the University trialled a range of Fairtrade Cotton clothing, with the intention of moving towards Fairtrade and ethically sourced cotton for all official University products. This followed a successful ‘procurement day’ organised the the OUSU ethics committee and Oxford Student Fairtrade Coalition where a number of producers and retailers, including a representative of the Indian Federation for Fairtrade and Development (IFFAD) specially invited from Madras, were in conversation with Oxford Ltd about how it could source and use more Fairtrade and fairly traded products. 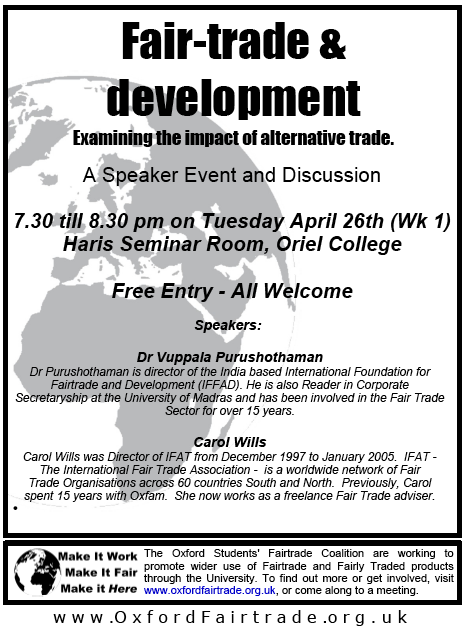 The Oxford Student Fairtrade coalition took advantage of the fact that Dr Vuppala Purushothaman, director of the International Foundation for Fairtrade and Development (IFFAD) was in town to talk with Oxford Ltd (the University’s commercial arm) to hold a speaker event and discussion on Fair Trade and Development.